Was he really ‘Bad’ King John? ‘Bad King John’. I remember as a child learning the adjective at the same time as the name. History has generally decided to vilify the king who came to the English throne after the untimely death of his brother Richard in April 1199 from an infected arrow wound at a trivial siege of a poorly defended castle at Chalus Chabrol. I don’t specialise in this period particularly, but I must confess to a sneaking sympathy for history’s underdog. It was inevitable that he would suffer from comparison with his glamorous brother, Richard Coeur de Lion, the Lionheart who is known by his nickname rather than by his place in the sequence of King Richards. Born the last of the ‘brood of vipers,’ as the children of Henry II and Eleanor of Aquitane were described, Prince John had few expectations in life. He was a spare with no defined role or inheritance to learn to care for. At this time the Angevin Empire was extensive, and Henry II with his tremendously powerful personality straddled both sides of the Channel, waging a constant battle of attrition against the French king. John became nicknamed ‘Lackland’ and had no career direction. He came from a violent and dysfunctional family, with a father known for his bouts of violent temper and a mother who was imperious and unpredictable. John decided his identity was English rather than French and based here rather than moving constantly around the family possessions in France. He watched his elder brothers rebel against their father and survive to rise again, and then he saw his eldest surviving brother Richard gain the English throne on his father’s death in 1189. Richard had always been his mother’s favourite. Her French possessions and estates were promised to him. He did not consider himself to be English – he didn’t even speak the language (not that this was unusual: only a little more than 100 years after the Norman Conquest, French or Latin were considered to be the courtly languages and Latin was the language for the Church and legal matters. The English language was still considered the language of the underclass and would be until the vernacular writing of Chaucer in the fourteenth century). Richard was indisputably a brave, fearless and successful military leader, but he was not a statesman. His personal aim in life was to head a crusade against the infidel who were successfully taking over the Holy Land. This was necessarily a huge undertaking, and an excessively expensive one with immense logistical issues of supporting men, horses and armaments at a huge distance from their home base. As far as Richard was concerned, his new country was principally there as a means of forcibly raising the cash he needed. Taxes were levied on both church and state, and as soon as he had what he needed he was off to fight in distant lands. Leaving aside the embroideries of subsequent ages involving Robin Hood, possible evil sheriffs and the like, John did what his family did best – with the encouragement of the French king he rebelled against his brother’s authority in his absence. This is one of the reasons why John was subsequently vilified by the Church: it simply wasn’t the done thing to rebel or move against anyone who had taken the cross and gone to fight in a crusade as this would undermine the whole movement. Richard, of course, subsequently got himself shipwrecked and imprisoned for ransom in Austria during his homeward journey from the Holy Land. Although he had been instrumental in some spectacular battles, the Fall of Acre perhaps being the most notorious, he had failed in his objective of freeing the Holy land from non Christian influences. He had also alienated and offended his allies, like the Austrian prince, by failing to fly his flag equally with those of the victors. He had offended the French king to the point that he had decided to go home as he was unable to work with Richard’s arrogance any longer. Popular history tends to be quite selective where King Richard is concerned. His imprisonment has been retold in ballads, as has his personal bravery and heroism, but his ruthlessness and viciousness towards those he defeated has been swept under the proverbial carpet. The city of Acre was reduced not so much by bravery and battle but by grinding siege conditions, with Richard’s immense fleet blockading the port to prevent any supplies reaching the beleaguered citizens whilst the allied crusading army encircled the landward side. For a variety of reasons, some of the surrender conditions were not met by the deadline Richard imposed and in a ruthless act of savagery he decided to execute the majority of the Crusaders’ prisoners. To ensure this massacre was completed, a rumour was deliberately spread from the Crusader camp that Saladin had done the same to his prisoners, an early example of propaganda. Thus when Richard set sail home for England, he left an undying legacy of hatred towards all future Crusaders and ensured that tolerance would be impossible for generations. With an England still reeling from the taxes and costs that had been imposed on them to pay for the Crusade in the first place, Richard was handed over by Leopold to the Holy Roman Emperor, Henry VI. The Pope immediately excommunicated both men for wrongfully imprisoning a Crusader, but both men had other grievances against Richard and were not too concerned by the Church’s measure. Henry VI saw King Richard as a means of raising money he badly needed and set the ransom at 65,000 pounds of silver – an amount roughly equivalent to 2 or 3 times England’s entire annual wealth. Queen Eleanor swung into action to raise the money to free her favourite son: people were taxed about 25% of their property value – an enormous sum when the estimate was based on the land itself and not portable or saleable items. The church’s gold and silver were seized as well, on the grounds that Richard’s difficulty had arisen because he was fighting for the church. England was effectively bankrupted for its king’s release. Richard promptly celebrated his freedom by abandoning England to fight in France, spending more than twice his building outlay on English castles on extending his defences against the French king. This may have sounded like a prolonged attack on the great Lionheart, but bear with me: the brief description of his reign is important because it gives the background to King John’s reign. Forgiven by his brother for his rebellion, he had been named as Richard’s heir as it was obvious that he would not produce male issue. Richard’s unlikely and untimely death brought John to the throne when England was disaffected. Barons, Church and poor alike were still suffering from the immense drains inflicted on their incomes. They had seen no benefit for their expenditure and loyalty. Power was concentrated in the hands of the monarch, who at last was not a warlike leader prepared to resolve everything by fighting. His contemporaries labelled John ‘softsword’, but experience had taught him how expensive war tended to be. 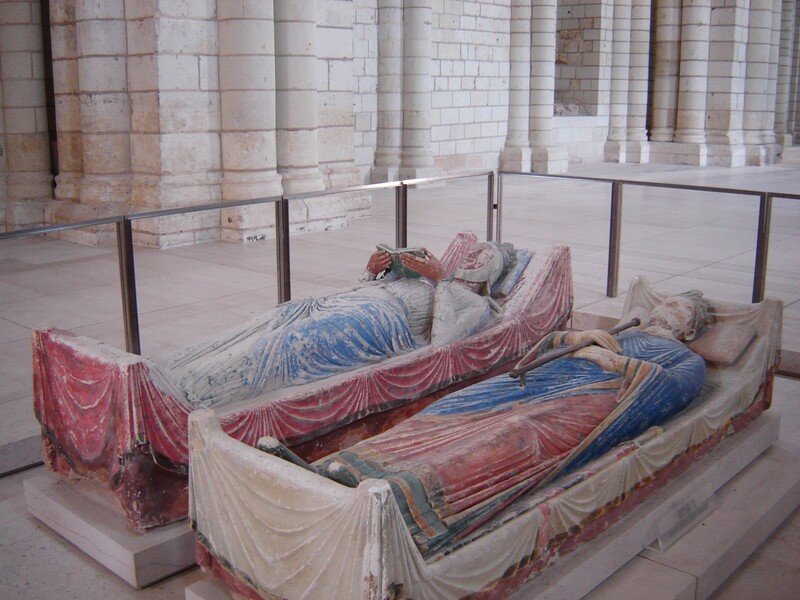 He negotiated peace with the French king and received recognition for his Angevin lands, but it was not long lasting and he found himself at war again in 1202. Lacking the funds and resources that his brother had squandered, he had to back down 2 years later and lost the bulk of those possessions. However, this allowed him to concentrate more fully on England. He showed real promise as a ruler in overhauling the legal system, and rebuilt the crown’s finances. One method of raising money which often seems undervalued was his readiness to grant freedoms and privileges in exchange for money: many town and borough charters as well as ancient market rights date from John’s reign. This helped to free the developing towns and cities from the excessive influence of their neighbours, whether Church or lay, and created the foundation for the subsequent rise of the free middle classes who were not bound to either Church or lord. Unable to ignore the incursions of the French king, John waged intermittent but ultimately unsuccessful war against France. Many of his nobles still held land in both England and France (a legacy of the Norman Conquest) and they blamed John for his defeat by the French at the Battle of Bouvines in 1214. He was also involved in an active dispute with the papacy, which led to both his personal excommunication and to the country being placed under an interdict, where everyone suffered from the withdrawal of the Church’s ministrations. Living in a largely secular society today it is difficult to appreciate the effect this would have had on a people for whom the Church and the existence of God were indisputable facts of life, but again, everyone blamed John for their loss of the comfort of the Church, be it the Last Rites before death or access to the Sacraments. Although the dispute was resolved by 1213 there was deep bitterness and hostility to John. His reforms of the common law system had upset the barons who saw their power being attacked and this spilled into active rebellion. A form of truce was established at Runnymede Island, a marshy spot in the Thames near Windsor where King John set his seal, if not his signature, to the famous Magna Carta. This, however, was not peace and John had to move around attempting to quell uprisings. In 1215 rebels seized Rochester Castle on the River Medway from the ownership of the Archbishop of Canterbury, current incumbent Stephen Langton who seemed to be friendly towards them. High up and towering over the river crossing into Rochester, it was strongly defensible and provided the rebels with a secure base from which they could move against London. King John raced to besiege the castle, according to legend stabling his horses in the nearby Cathedral in a gesture of contempt for the Archbishop’s authority. He showed his strategic sense in quickly capturing and burning the bridge which effectively prevented London based rebels from sending reinforcements or supplies. He then attacked systematically from nearby Boley Hill. Once he had made incursions on the outer defences he sent messengers to Canterbury, asking their smiths to work night and day to produce pickaxes with which men were set to work to undermine the main tower. Then he used one of the most bizarre weapons of war ever, namely 40 pigs. In order to speed the collapse of the tower he acquired 40 fat bacon pigs, had them slaughtered then used their fat to coat the piers holding up the tunnels that had been made under the tower. The additional fat meant that when the tunnels were fired they created immense heat which rapidly caused the tower to crumble. The castle keep fell and it was discovered that there were perhaps only a 100 or so men that had been defending it. Some days before the final surrender the castle had sent out those unable to continue fighting – supplies and rations were short – and in an act of savagery King John had permitted their freedom, but only after both hands and feet had been lopped off. This seems barbaric, but so was life then. This is not by any means a defence of his action, but these were people taken in rebellion against their king, in an age when mutilation and branding, not to mention execution and burnings were relatively commonplace, and when removal of limbs and ears were seen as routine punishments. However, John showed his common sense in listening to reasoning. Instead of executing the rest of the rebels they were ransomed. As to Rochester castle, it was subsequently rebuilt. However, learning from what had happened, this time the tower was rebuilt in the round rather than a square so it would withstand attack better. For another two years the rebellion rumbled on but neither side gained the upper hand and King John’s reign descended into a stalemate of baronial revolt which continued even after John’s less than glamorous death from dysentery in 1216. History has determined that King John was ‘bad’. Certainly he had major character flaws including pettiness and spitefulness. It is impossible to remove him from suspicion about the death of Arthur, Prince of Brittany (Richard and John’s nephew, born posthumously to their brother Geoffrey). Arthur had been named King Richard’s heir in 1190 in preference to John, an act which would have ensured John’s hostility even if he had not had to rescue his mother, Queen Eleanor, from captivity at Mirebeau the hands of Arthur’s army. Relatively contemporary sources maintained that Arthur had been killed and dumped in the River Seine after vanishing from captivity at Rouen, but the case has never been proved. He was also vicious towards Maud de Braose when she challenged him over Arthur after a quarrel, and had both her and her younger son imprisoned in Corfe Castle where, purportedly, because he had not issued any instructions for their care they were driven mad by starvation which finally killed them. On the other hand, we have only to look at his family and their actions. Intemperance was obviously a family trait, as evidenced by Richard’s treatment of his prisoners. The times in which he lived were violent – weakness was despised and ruthlessness was seen as a reasonable leadership quality as it instilled fear. Certainly his reign fell apart in the last few years, but he had also shown good military leadership and statesmanship in rebuilding a shattered and bankrupt country. Perhaps one of his chief disadvantages was in being unglamorous: he simply did not have the dash and immediacy of either his elder brother or his father. He made bad enemies, too, in the barons, but principally in the Church. It was the generally the monks who wrote the histories at the time and the popular balladiers who were French; not surprisingly Richard comes down to us as a hero and his little brother John as the villain. For my part I suppose I’m a sucker for the underdog, and simply think that perhaps, just perhaps, King John was no worse than many other kings of the time and doesn’t really deserve to be permanently labelled as ‘bad’ for future generations of schoolchildren. In the first weekend of September (3-4th), Rochester Castle is celebrating Medieval Merriment. This is a hugely successful annual event held at the English Heritage castle site, and organised by Black Knight Historical. This year, instead of embracing the whole medieval period, Rochester Castle is travelling back to 1215: the siege of Rochester Castle. So what is your opinion? Are you for the rebels or King John? But do remember, in this case it was the king who won.